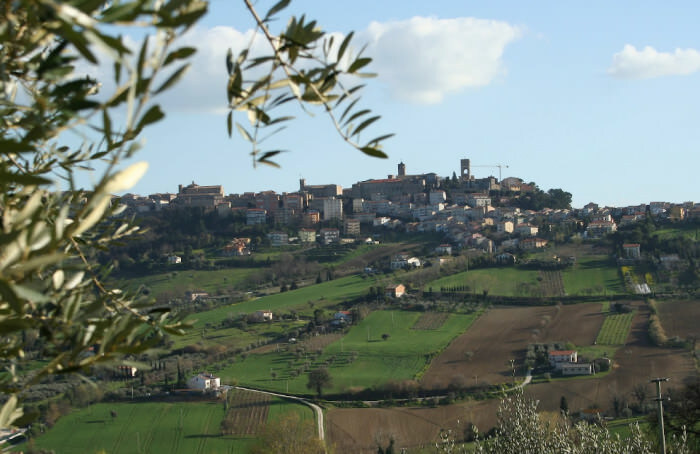 3 km from the B & B Montegallo you can visit Osimo, placed in the high of a hill overlooking the valley of the roller, a city rich in history. “Auximum” (ancient Roman name of the city) with its massive walls was a thriving Roman colony, which hosted several times Pompey the Great and Julius Caesar, and was a witness of their clash and the end of the Republic. – Gallo Palace, Palazzo Simonetti and Palazzo Sinibaldi. A place of honor deserves the Teatro la Fenice New, opened in 1782 and then demolished for safety reasons in 1887 and rebuilt on a project. Canedi Bologna, today is a place of performances and cultural events in the city. Osimo is also a city rich in culture with the Museum opened in 2000, the Diocesan Museum situated in the Cathedral of San Leopardo, the Museum of St. Joseph of Cupertino placed within the homonymous sanctuary and the Civic Gallery of Historical Figurine inaugurated in 2011 , in which the story is told in a fun way with the help of the soldier. Osimo is also characterized by its mysterious caves, the Caves of Cantinone, a number of galleries and tunnels in the subsoil, it has an esoteric flavor and it is accessible for tourists today, where you can also admire engravings. Templars. Would you like to spend your holidays in this beautiful location?